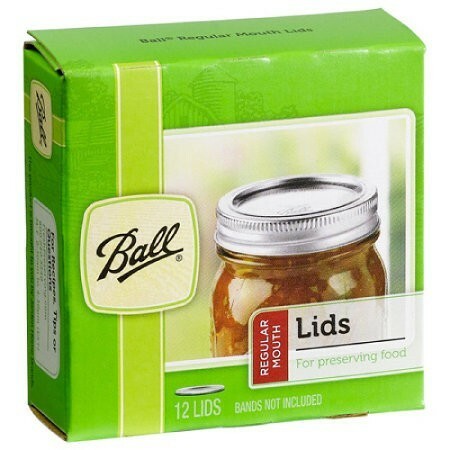 Ball mason replacement metal lids for preserving foods with a regular mouth 70mm glass canning jar. Listing is for a box of 12 metal lids, screw-on bands and glass jars are not included. Each lid is designed for single-use only. 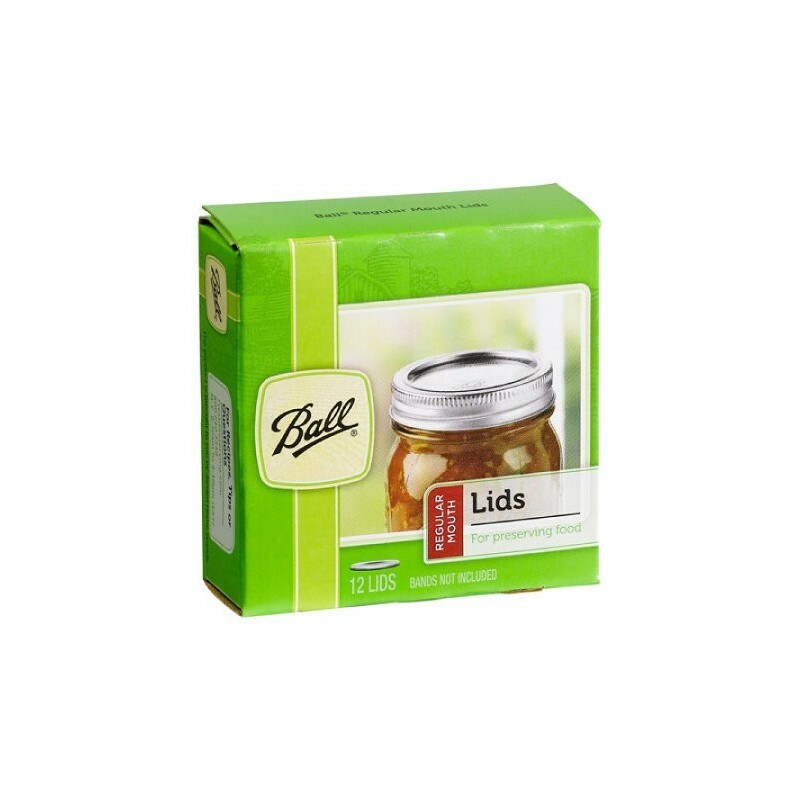 The Ball mason replacement metal lids act as the seal when preserving foods. Instructions for use are included on the packaging. Compatible with regular mouth 70mm glass preserving jars. Listing is for a box of 12 metal lids. Screw-on bands and glass jars are not included. These lids are designed for single-use only as the rubbery seal on each lid deteriorates once used. Browse all our ball mason jars & accessories.